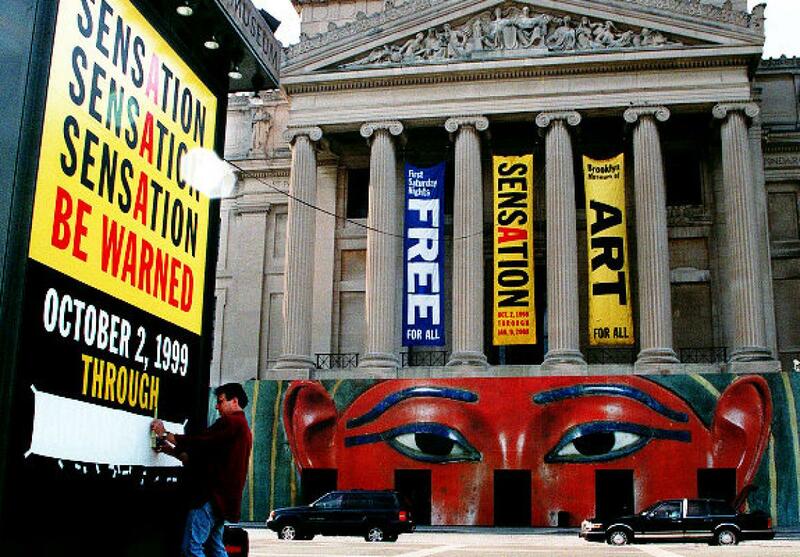 Exam 2 must be submitted by 11:59 PM!!! 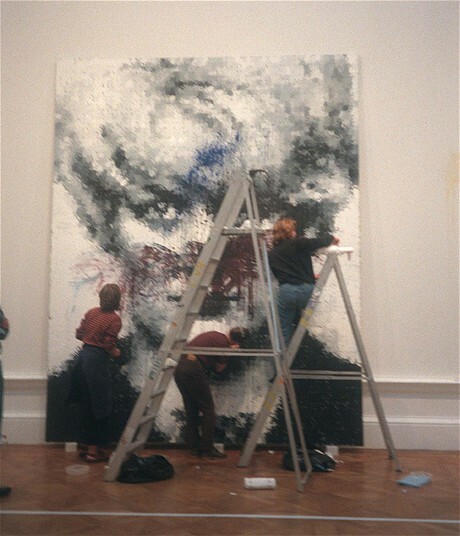 1999 National Gallery of Australia - canceled when the gallery's director decided the exhibition was "too close to the market." 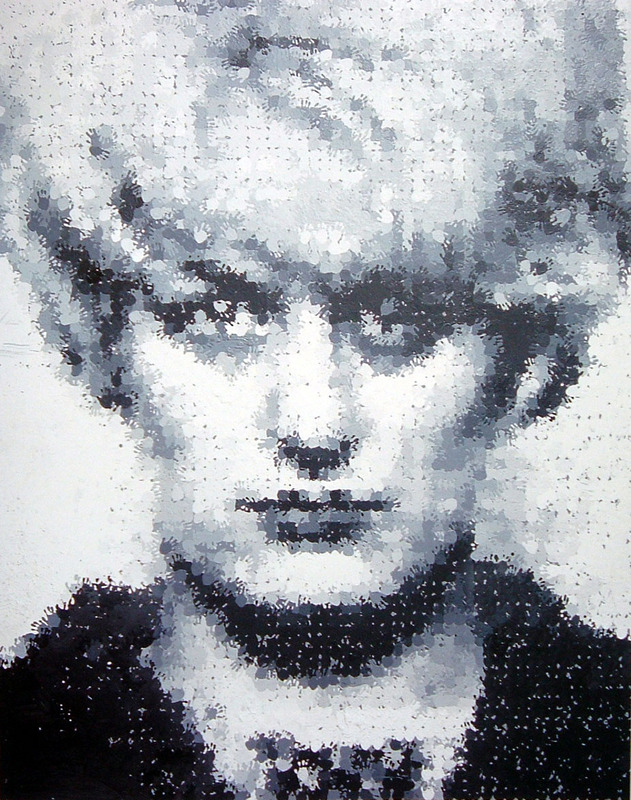 British businessman and the co-founder of advertising agencies Saatchi & Saatchi and M&C Saatchi. 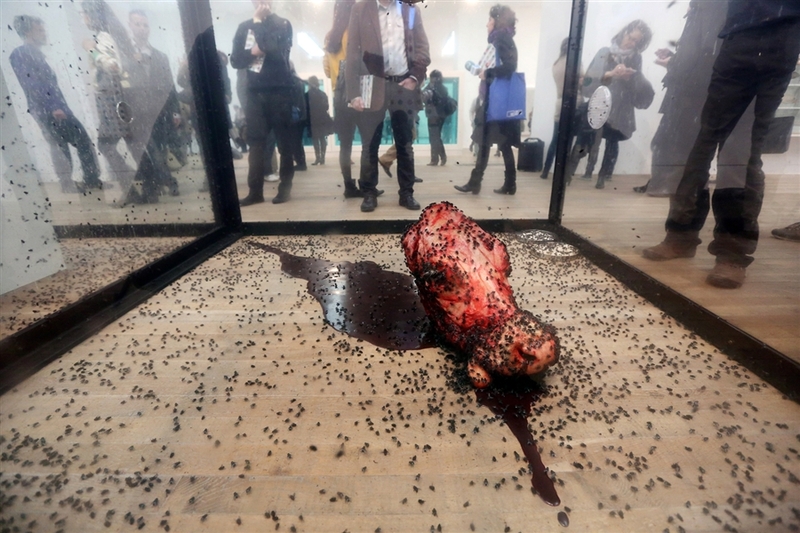 Damien Hirst, The Physical Impossibility of Death in the Mind of Someone Living, 1991. 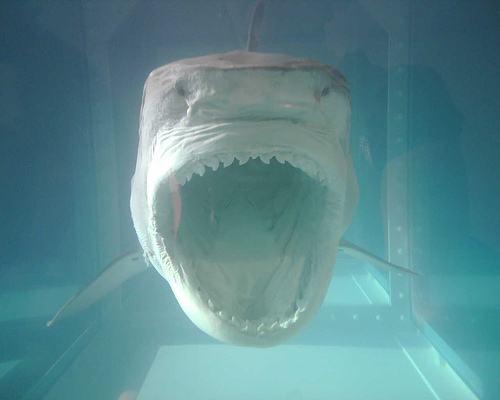 Damien Hirst, A Thousand Years, 1990. 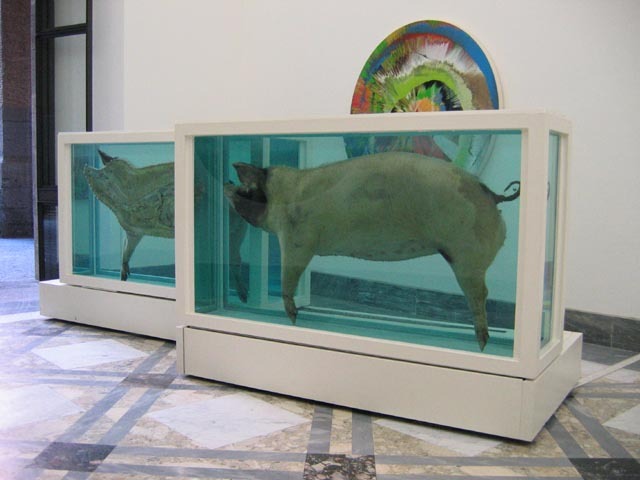 Damien Hirst, The Little Piggy Went to the Market, This Little Piggy Went Home, 1996. 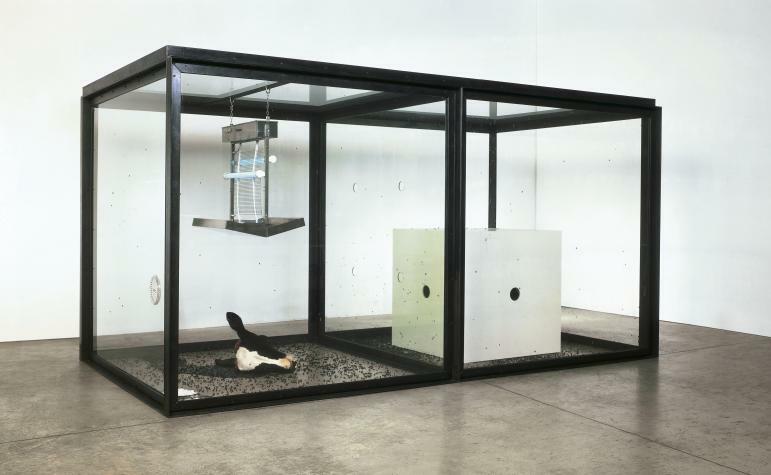 Damien Hirst, Some Comfort Gained from the Acceptance of the Inherent Lies in Everything, 1996. 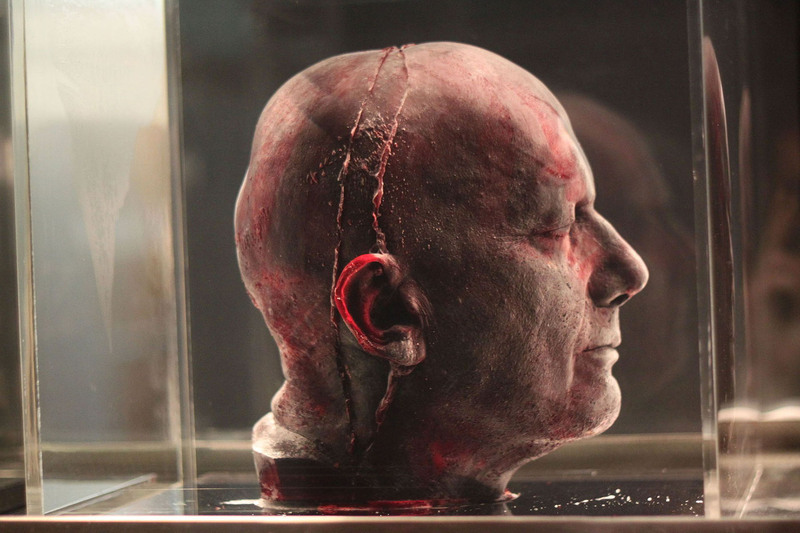 Marc Quinn, Self (blood head), 1991. 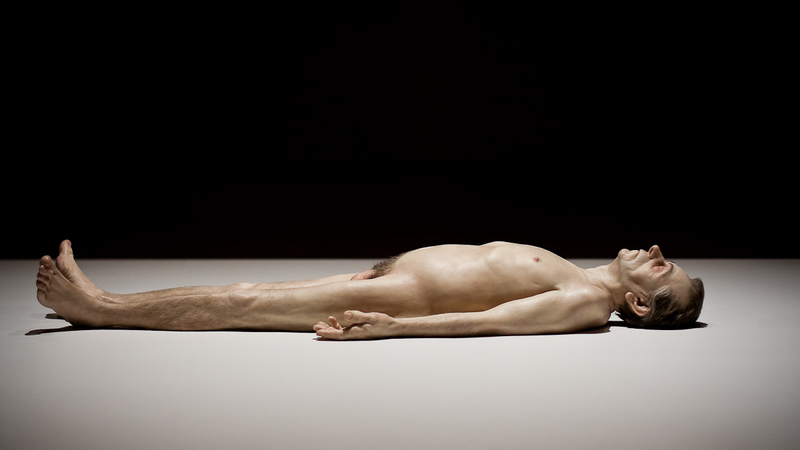 Ron Mueck, Dead Dad, 1996 - 1997. 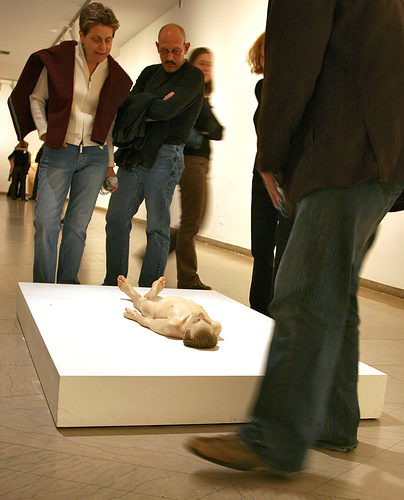 Ron Mueck, A Girl, 2006. 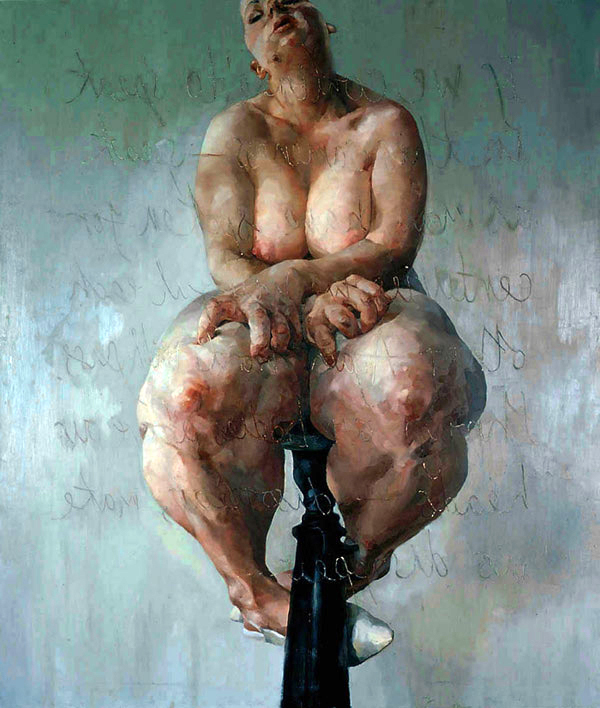 Fibreglass, silicon, polyurethane foam, acrylic fibre, paint, mixed media, 110.5 x 501 x 134.5 cm. 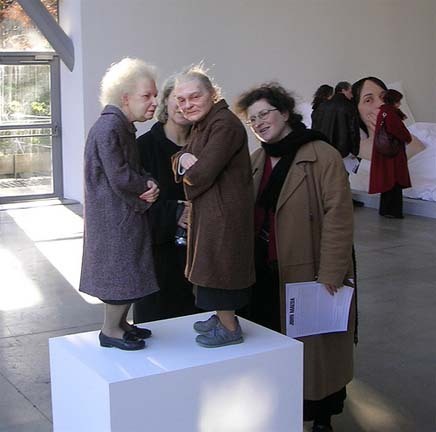 Ron Mueck, Two Women, 2005. 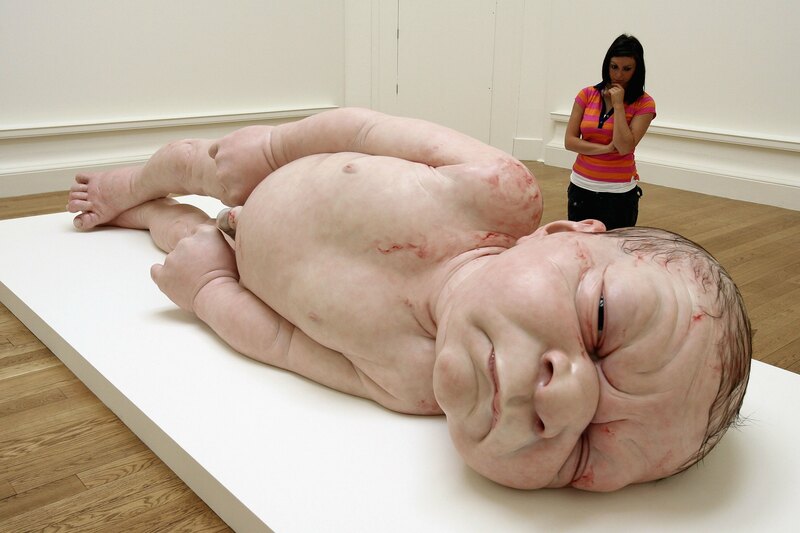 Jake and Dinos Chapman, Great Deeds Against the Dead, 1994. 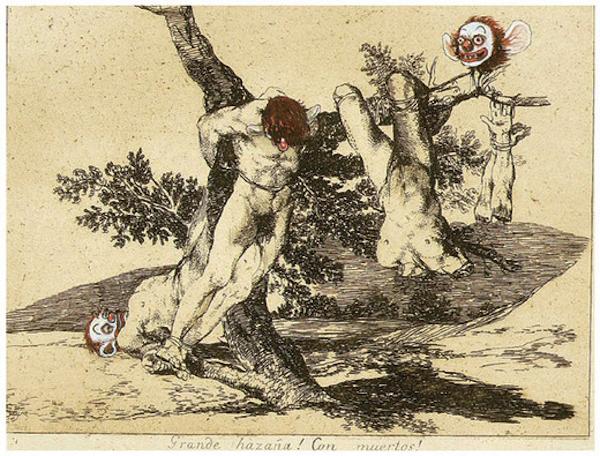 Francisco de Goya, Great Deeds Against the Dead, 1810. 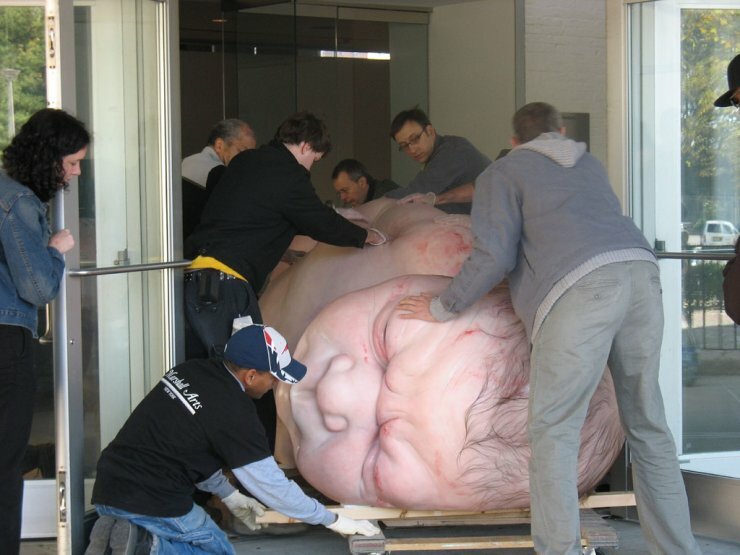 Jake and Dinos Chapman, Great Deeds Against the Dead, 2003. 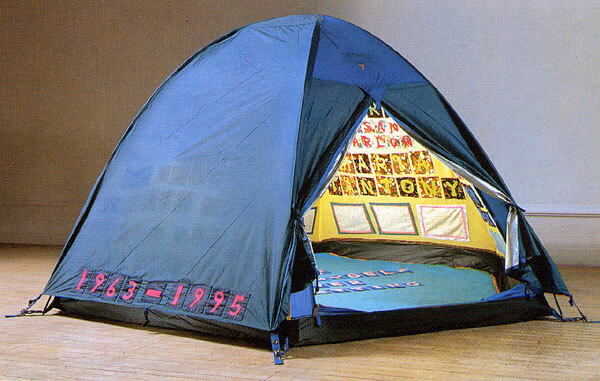 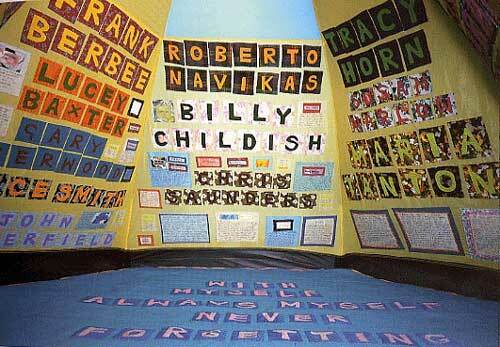 Tracey Emin, Everyone I have ever slept with 1963 - 1995, 1995. 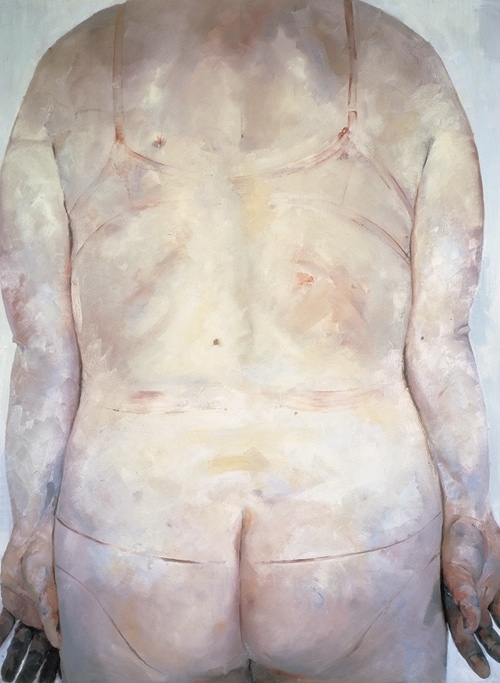 Marcus Harvey, Myra, 1995. 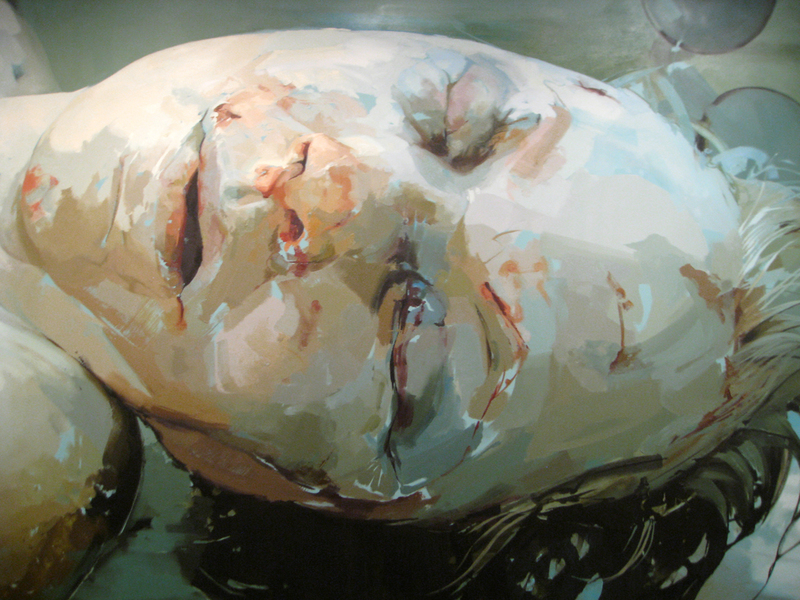 9' X 11'. 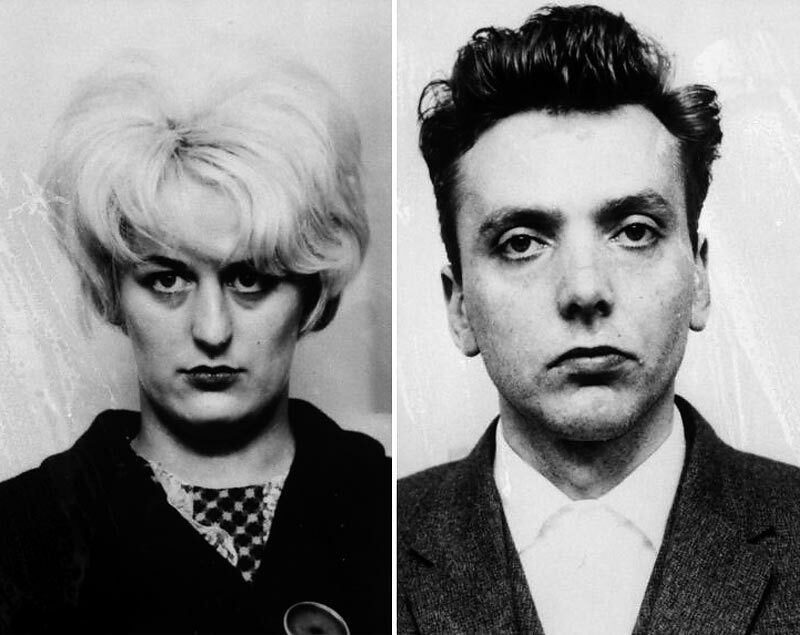 Myra Hindley and Ian Brady mugshots, 1966. 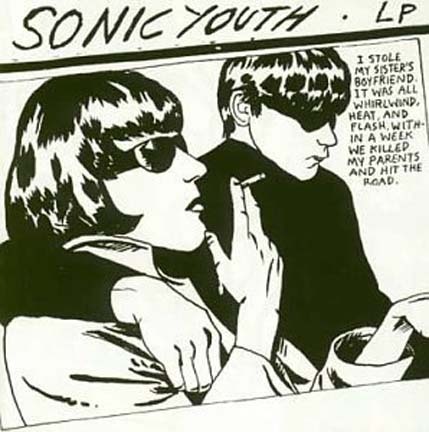 Raymond Pettibon, Sonic Youth Goo album cover, 1990. 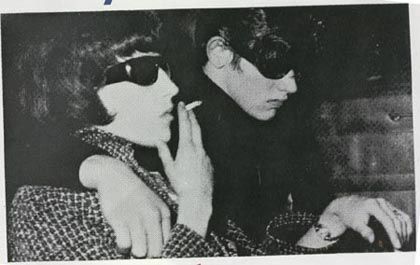 Photo of Maureen Hindley and David Smith - Maureen was the sister of Myra Hindley and David was the witnesses to one of Myra and Ian Brady's murders. 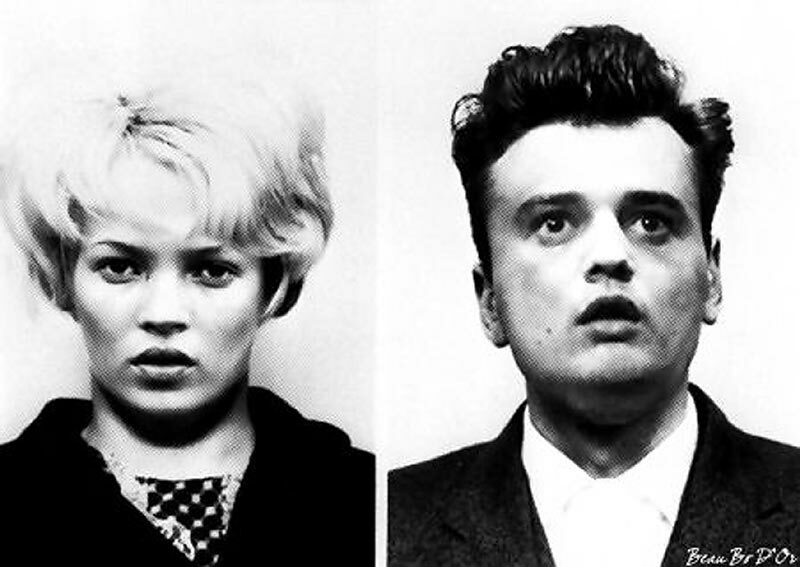 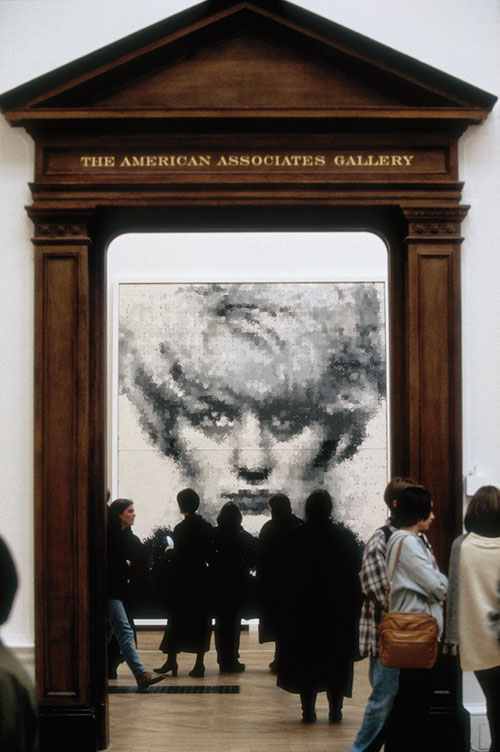 Russell Young, Kate Moss as Myra Hindley and Pete Doherty as Ian Brady, 2007. 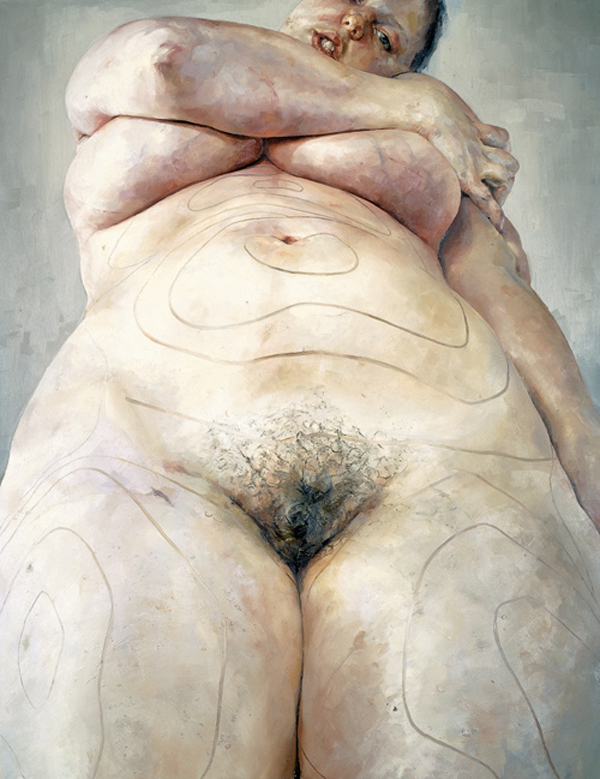 Jenny Saville, Trace, 1993 - 1994. 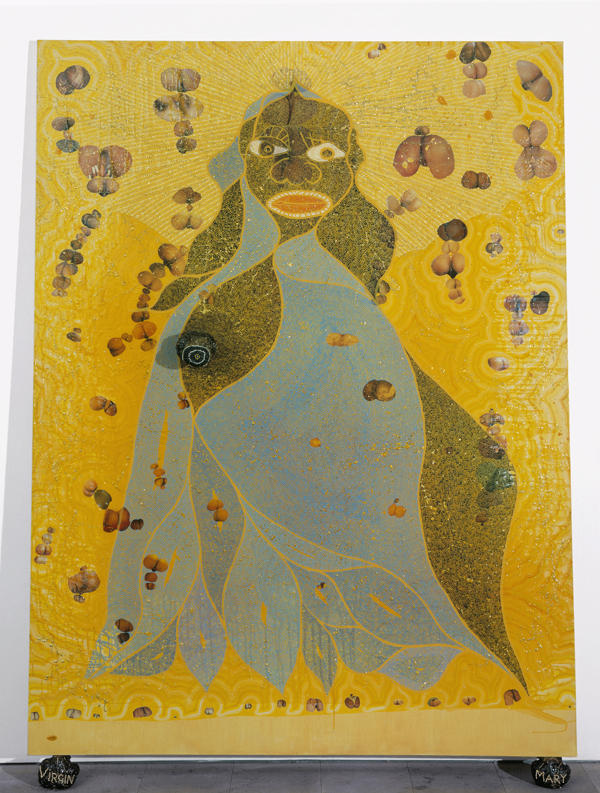 Chris Ofili, The Holy Virgin Mary, 1996.